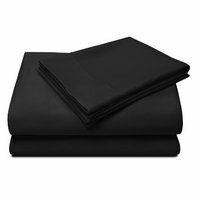 The Veratex Camden Lace sheets are made of ultra plush double brushed micro denier fabric. The sheets offer tremendous comfort as they totally envelope you on softness. The flat sheet and pillowcases boast attached 4" hems of romantic embroidered lace. 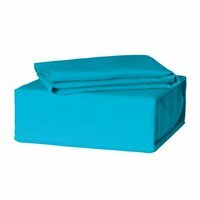 The fitted sheet has a generous 15" pocket that will fit up to a 17" mattress. Bed Sheet Sets Are Available in Twin, Full, Queen, King, Cal King. Available Colors: Ivory and White. Made of Ultra-Plush Double Brushed Micro Denier Fabric. 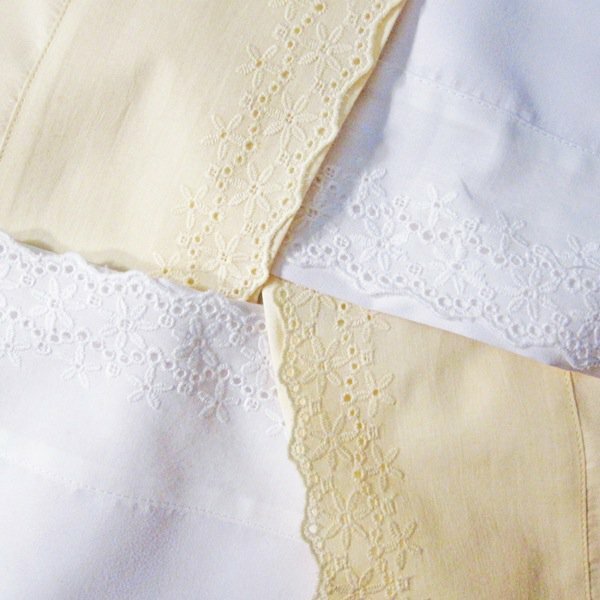 Pillowcases and Flat Sheet Have 4" Hems of Embroidered Lace. Full, Queen, King and Cal-King sets includes fitted sheet, flat sheet and pillowcase pair. 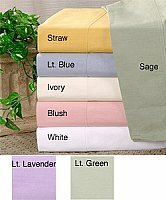 Twin set includes fitted sheet, flat sheet and one pillowcase. Not all colors are by available in all sizes.